The 10th Annual Biker Belles Celebration kicked off with its first ever “Women and Wheels Bike Show” presented by the Wild Gypsy Tour. It included an all-women’s ride to the Deadwood Lodge for a symposium and lunch. 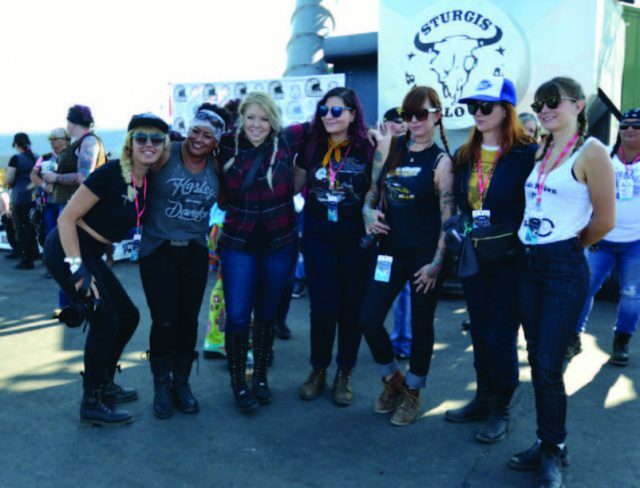 I had been going to Sturgis for the past fi ve years, but this was my fi rst opportunity to participate in the Biker Belles event. I always ride my Street Glide to the rally and this year I was lucky enough to have my newly completed Bobber shipped up as well. 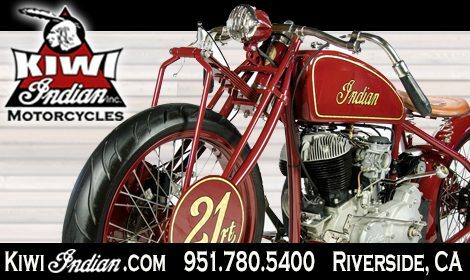 I wanted the Bobber there mainly for the “Women and Wheels” bike show, not because I thought it would win, or that it should be on display, but because I am proud of the fact that I built this bike. Yes, I had a little help with the things I could not do, but I touched every piece of the build, and I did 90% of the work myself. The building of my bike is another story though, and one I am sure I will write about at some point, so stay tuned. This year’s ride was led by a very well-known mother/daughter team, Laura Klock and Karlee Kobb. There was also an array of industry celebrities in attendance, Jessie Combs, Kelly Quinn, Kelly Yazdi, Diva Amy, Elyse McKinnon, Gloria Struck, and Savannah Rose, just to name a few. As the group pulled out of the parking lot and headed toward Deadwood, I wasn’t sure what to expect. I am not a “girly girl,” and quite frankly I have more guy friends than girl friends, so to be honest, I was a little nervous. Not because I thought these women would be bad riders, but maybe because I have always felt women can be judgmental of each other and I usually don’t fi t in with that. I soon realized though that this was not the case with this group and we were all there to support one another and ride. As I rode out Vanocker Canyon, which by the way has always been one of my favorite roads to ride, I was overcome with emotions. I was riding the bike that I built, I was riding on one of my favorite roads, the bike was running perfect and handling great, the scenery was amazing, and I was riding with 140 other women who were just like me. It was the most empowering feeling I have ever felt. I don’t know how else to describe it. At one point, I was actually in tears and I know I was smiling the biggest smile ever. The luncheon at Deadwood Lodge not only included some amazing food, Diva Amy’s “Comfort Zone,” which included pampering stations, a silent action for charity and of course shopping! The symposium “Shifting Gears” was led by four inspiring speakers. Leah Misch, Alisa Clickenger and 2018 Sturgis Hall of Fame inductees Marilyn Stemp and Valerie Thompson. Panel host, Jacqui Van Ham, kept the crowd revved up with her stories and encouragement. Women are certainly becoming more prominent in the world of motorcycling, and I hope the industry continues to realize this. We are women, we do like our gear to fit us correctly, and we do want to be somewhat stylish. We also aren’t just fender candy anymore and want to be treated with the respect that we earn. 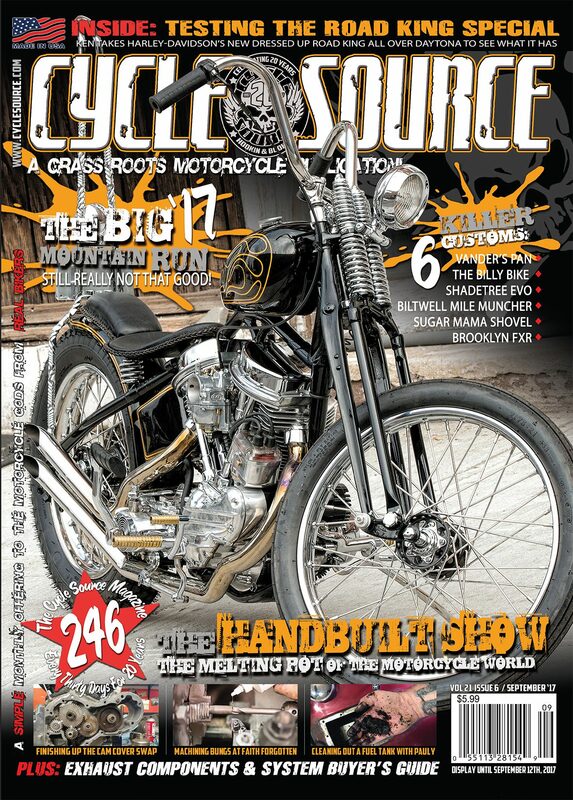 This entry was posted in Rides and tagged Back Issue, biker belles, Cycle Source, Cycle Source Magazine, Events, November 2018, Rides, Shows, Sturgis 2018, Women And Wheels Bike Show, Women In Motorcycling. Bookmark the permalink.